Regular gutter maintenance in Houston, TX removes leaves, pests, and other debris from your gutter system and improves its efficiency. Working gutters can mean the difference between a healthy household and a serious mold problem, so maintenance is crucial. As functional as they are, gutters also have an aesthetic component. They’ll impact your curb appeal, and if you choose the right kind, they’ll impact it for the better. Cleaning your home gutter system will improve its look as well as its ability to protect your home from excess moisture. 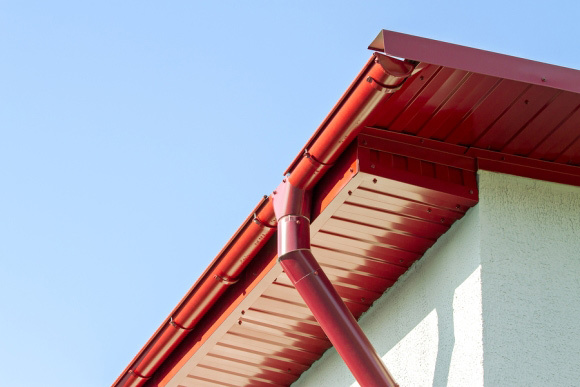 Just like your doors, roof, and windows, your gutters will influence your curb appeal. Nice, clean gutters that fit in with your current design can add a pleasant accent, while dirty gutters that don’t look like they belong will take away from the aesthetics. The good news is that choosing the right color for your gutters is easy. Look at the biggest cosmetic factors in your curb appeal, like your garage door or your roof. Think about what kind of color scheme you already have going on, and choose a couple of colors that could work well as accents. Remember that lighter colors show more dirt, and darker colors absorb more heat.